When you go through the process of renewing your passport, one of the requirements is that you send your old one off with all of the other documents you’ve collected for processing. That old passport will then be stamped as “Canceled” and a new one will be issued, but that doesn’t mean it just disappears – it will actually be returned to you with the rest of your documents. The question of “What should I do with my old passport?” is one even the most frequent travelers have to answer at some point in their lives. Luckily, there are a few very easy options that you have available to you. Should I Keep My Old Passport? Even though you can’t use your old, canceled or expired passport anymore, that doesn’t necessarily mean you have to throw it away. It is still a valuable document that represents all of the wonderful trips you’ve taken up to this point in your life all over the world. It’s still something of a time capsule, allowing you to instantly transport yourself back to far off locations in your mind and relive the type of memories that will last a lifetime. Many people choose to keep their old passport as a keepsake for this very reason. If you DO choose to keep your old passport, however, there are a number of important things to keep in mind. Remember that your canceled passport is still completely valid proof of your United States citizenship, so long as you still resemble your general appearance at the time you took your passport photo in the first place. Your old passport can also be used as proof of your identity, which can come in handy when getting a new driver’s license issued, getting a new birth certificate and more. If your old passport contains visas, you’ll definitely want to hold onto it because most countries will allow you to transfer a valid visa from your old passport to the new one that you were recently issued. How to Dispose My Old Passport? 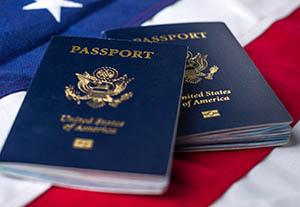 If you do ultimately decide that you don’t need to keep your old passport around anymore, you’ll want to enlist the services of an old passport disposal professional to help make sure the document is destroyed as safely as possible. Remember that if that old passport falls into the wrong hands, it still contains enough valuable and valid information to the point where it can be used to steal your identity or worse. If you don’t take your old passport to a professional to have it disposed of, make sure that you COMPLETELY DESTROY the document before you throw it away. Either cut it into tiny pieces like you would with an expired credit card, burn it in a safe and controlled environment or take other precautionary measures to help make sure that it does not, under any circumstances, fall into the wrong hands. You’ll be thankful that you took a little extra effort now to prevent a potentially massive problem down the road.